This morning, Tesla announced it was acquiring Maxwell, a super capacitor manufacturer for about $200M in an all stock deal. I've already seen some reporting of this getting it all wrong, so here's my take. And it can do all three of the above simultaneously while being significantly cheaper to manufacture. Here's the Maxwell paper that describes the results. A lithium ion battery is simple in concept. You start with an aluminum sheet that acts as the cathode current collector. You create the cathode by mixing a bunch of elements together (nickle, magnesium, cobalt, etc.) along with a liquid solvent to form a slurry paste. You then compress this slurry onto the aluminum sheet through high pressure rollers. You then dry the new composite sheet in an oven and drive off the liquid solvent. You do this process again, this time with a copper sheet and your anode material (typically graphite with some silicon these days), and then you combine these two composite sheets together along with a polymer separator and you've got a battery cell (view this for a really quick overview). The liquid solvent adds challenges in that it interacts with the cathode and anode chemistries in undesirable ways. And it is expensive since you have to heat the composite in giant ovens and recover the driven off solvent vapor (can't vent into the air!). What Maxwell claims to have is a process to mix and bond the cathode and anode ingredients WITHOUT needing a wet solvent. They use some kind of proprietary polymer binder and a dry process. So the end result is a better performing cell, in every which way possible (energy density, power density and longevity), AND it reduces manufacturing cost since you don't need high energy drying ovens and solvent recapture systems. So, what's this mean? I think this means Tesla got a bargain for $200M in stock. Gotta scoot, more later. Time for speculation. What does this mean for Tesla, Rivian and the EV industry? Does Maxwell have a patent on their process? Probably. This is something they developed a while ago for manufacture of their proprietary super capacitors (Maxwell is a super cap industry leader). This means Tesla has a lock on this technology for a while. Is this a game changer? Kinda. First, this is just one of many possible battery cell improvements that the entire industry is working on. I’m sure LG Chem has good new stuff too. Second, this changes a fair bit of the cell manufacturing process. It is unlikely you’d want to retrofit an existing line with the tech until you’ve amortized the capital costs of the giant dryers, solvent recapture and wet mixers. But you’d want to use this on new lines. But maybe after you had built and proved a demo line first! So maybe this tech would see the first production cell exit a factory in 2 years? Maybe 1.5 years? What does this mean for Panasonic as a battery cell supplier for Tesla? I think it’s time to read those Panasonic supplier agreements squirreled away in the Tesla 8-K statements. Tesla is well known for ditching suppliers and doing stuff in house if it sees a good reason to do so. 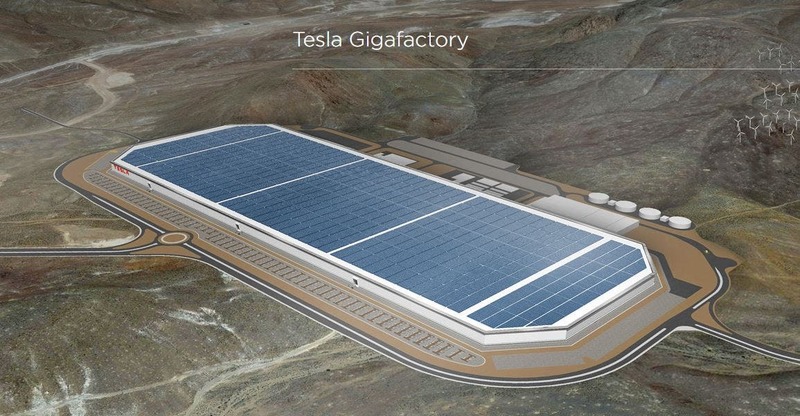 If Panasonic doesn’t give Tesla a good reason to stick with them, Tesla may end up being the world’s biggest battery cell manufacturer in 5 years. What does this mean for Rivian and other EV manufacturers? I think they had better hope that Panasonic, LG Chem and Samsung continue to innovate because Tesla is chasing them down. Tesla is unlikely to sell cells to the industry for the foreseeable future if they start making cells in-house. BTW, some people are wondering if the ultra cap part of Maxwell is of use to Tesla, especially since Maxwell recently inked a supply agreement to Geely for their hybrid cars. Ultra caps ARE useful for hybrids that have small (or non-existent) batteries. They are used to store braking energy and release it back upon acceleration. But if you have a big battery, ultra caps are useless since you'd just store the braking energy into the big battery. Essentially, the small batteries of a hybrid can't accept much power (can't stuff too much energy at once), so you need an ultra cap. Tesla will never need this. And as far as ultra caps replacing batteries are concerned - well, right now, ultra caps can store about 1/70 the amount of energy as a battery in the same volume. At much higher cost. And the energy leaks out much faster than a battery (self discharge). So, yeah, that's not going to happen anytime soon. It was a good video, however I believe that many companies are working on alternatives to Lithium Ion batteries and we will know soon. The advancement in technology and knowledge will allow more research that was not feasible before like capacitors/long term energy storage. Musk himself knew about capacitors when he was in Stanford but its use was not realistic at the time. Time will tell but for sure Tesla is leading and I am glad it is not GM. I am hoping that Tesla and Rivian will find a way to work together to achieve a common purpose which is to pump out as many EV vehicles as possible that are available to common people ($3500 or so) and replace gas vehicles. I pre ordered an R1T and hope that it won't be more than $100K. We need to know more about Rivian Truck than what we got especially the longevity of their batteries. Since we talked about Tesla acquisition and game changer etc...I looked around for any other companies, universities researching for alternatives. I found multiple. currently lithium ion manufacturers uses for their cathode technology lithium, cobalt (expensive), and manganese. In order to drive the price down companies started to use or look for alternatives to the high cost and politically incorrect Cobalt. Musk has tweeted a lot about this issue. Common purpose: batteries with high energy density, excellent longevity, light weight, and can be used commercially. 1. Tesla/Panasonic Investments In Cobalt-Free Batteries Not The Only Game in Town. 2. Silicon holds great potential as an anode material because it holds > 25 times than graphite that is currently used in batteries. You may know the problems of using high silicon contents: expand when it accommodate high amount of lithium ions and shrink when the energy is used up. Shrinking and expanding can cause fractures. Hold your thoughts. Some companies have been working on this and some find solutions. Some are using 1-5% Silicon as a component in their batteries. Silicon is much cheaper, more available, acts better anode than graphite. With the development of social progress, increasing energy demands are becoming more urgent in various fields such as electronics, renewable energy generation systems and electric vehicles [1–4]. Lithium-ion batteries (LIBs) are considered as candidates for the increasing demand of portable electronic devices and electric and hybrid vehicles due to their high energy densities and stable cycle life. A secondary lithium-ion battery is fabricated with an anode, a cathode, a separator and electrolytes. Both the electrodes act as lithium ion hosts with a separator membrane to avoid a short circuit while the electrolyte supplies lithium ions. The specific energy of a battery is determined by the specific capacities of the cathode and anode materials . Among various anode materials, silicon has attracted considerable attention because of its highest theoretical specific capacity (about 4200 mAh g−1), which is ten times higher than that of conventional carbon anodes (372 mAh g−1) and satisfactory potentials for lithium insertion and extraction (<0.5 V versus Li/Li+) . New, higher capacity materials are required in order to address the fast growing need for greater energy density, longer cycle life and safer high-power operation batteries for both mobile and vehicle applications. We present the study of a scalable low-cost chemical vapor deposition (CVD) synthesis and characterization of a novel 3D-architecture high-capacity silicon anode for lithium ion battery. The formation and growth of solid electrolyte interphase (SEI) and anode degradation mechanisms have been examined as a function of the composition and structure of the active anode material. Our research efforts have culminated in the outstanding performance of 3D silicon anode: high areal capacity of 3−5 mAh/cm2, high gravimetric capacity of up to 2000mAh/gr-Si and a very low irreversible capacity (7-15%). Cycle life over 500 full charge-discharge cycles was demonstrated in Si/Li half-cells. Pairing the 3D silicon anode with a commercial cathode resulted in a full lithium- ion battery with cycle life over 200 cycles. The developed anodes have the potential to increase the energy density of lithium ion batteries for electric vehicles, storage devices and portable applications by 60%. Due to high melting points of lithium-rich silicon compounds, and higher working potentials (vs. Li) these batteries are safer than both Li-ion and lithium-metal cells. I forgot to add that speed of charging Silicon based batteries is very fast: They say can achieve 8x charge rates over conventional batteries. You can achieve 240 miles charge in 5 minutes???Wow. and reach 90% of vehicle charge in 15 minutes. Hard to believe. There are indeed many, many research avenues for bringing down the cost, increasing energy density, increasing longevity, etc. All the cell manufacturers are working on this. The only reason we know of Tesla’s activities here is that they bought Maxwell. Otherwise, it would be kept secret. I wonder if Rivian will change its battery chemical composition before launch??? I wonder if Rivian will change its battery chemical composition before lunch??? Not before lunch, but maybe before launch. Hard to say. I don’t know how long EV manufacturers (like Tesla) stay with the same chemistry. Given that Rivian is doing extensive testing and characterization of their battery cells, one would think they would stick with a particular cell for a while. Don't dismiss the super capacitor aspect of this acquisition too quickly. Consider flooring a Tesla Model X100D. The power draw is 300 kW but it lasts only 4 seconds or so. That's 333 Watt hours or 0.3 % of that car's battery capacity. Given that the specific energy of a super cap is about a tenth of a LiPo battery that brief burst could be covered by caps weighing 3% of the the car's battery pack and relieve the battery from the stress of having to deliver, if briefly, 780 Amps. At the other end, such a super cap could easily absorb regen energy when the battery is too cold to do so. Just musing here as I don't really know much about super caps except that they have huge capacitance. Good points but a large battery usually gets rid of the rationale of a super cap. Ironically they only make engineering sense in small battery hybrids since the small battery can’t put out or accept large amounts of power. It would, however make sense in a race car since large power draws and large regen happen all the time.